Look, here’s what I’ll do with my valuable time. You are not going to get much help. And this is not some edict or something I am telling someone. We all worked hard, we all will help, but you have a terrible approach my friend. Maybe the first skill you need to learn is how to search for the info you want because it’s definitely here. What exactly did you type into the search field? “How to become a boss millionaire on facebook and instagram with no work, no cash expenditure, no work of mine at all, in 2 seconds a day forever and for the rest of my life because I’m a spoiled brat”, would be my first guess. [Guide] Beginners Guide to Growing Your Instagram Account! Too much work, can you please read it to them? I don’t know how to read, will you teach me? I laugh, but there are people that need this. I hope they are trolling more than they are serious. It’s true. i don’t want to be too harsh on Bradley. We have no idea what his background or circumstance are, or even if English is his first language. 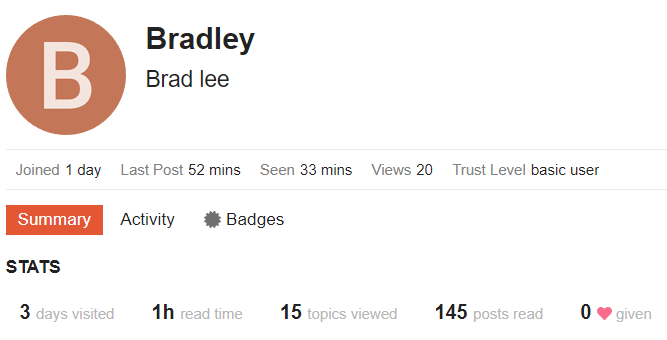 Hang in there Bradley! The information in this thread is plenty to start your journey. Succeeding at anything requires dedication and focus. You should read books more. yet how do these companies that sell you followers get the followers? What is the formula for this? would I be able to use the same proxy number on my phone and on jarvee for each account? So can you use the same proxy number for your iPhone and jarvee? can I use the same proxy on my iPhone and on my MacBook Pro??? Is there a tutorial that shows step by step how to run jarvee successfully? All I want to know is how you would upload a photo to Instagram from my iPhone and then use jarvee to do the automation??? I’ve been told you can upload the picture on jarvee but there is no where that shows the dimensions the photos have to be? What are the dimensions tho? Still won’t read anything. I say everyone stops replying. You’ve had several people…myself included tell you where to start. Apparently you’re not capable of even reading our suggestions. What you’re wanting is a simple easy solution to do amazing things on Instagram and anything that isn’t advice to get you towards that goal is ignored. I think the key phrase is “What I am searching for”. Stop looking for the magical unicorn that poops money for you. Running a client network is hard work no matter what you do to help aid you in the process. You’re not even seeming to try to take the advice you have been given seriously. I’ve offered search threads, someone else gave you direct links to other threads, @wortime is being way too nice to you but offering advice on etiquette for becoming part of our community. If you think engagement groups are the solution to client management growth. You do not understand the concept of growing Instagram accounts.